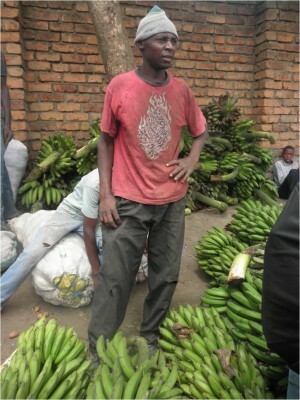 Promar completed field research on agriculture, forestry and fisheries in Rwanda and Tanzania in late 2011 as part of a project for the Japanese Ministry of Agriculture, Forestry and Fisheries. The purpose of these studies was to provide background for designing aid and technical assistance projects in agricultural development in sub-Saharan Africa, as well as inform private sector investment and business ventures. Because each country and region in sub-Saharan Africa has significant differences in natural environment as well as in socio-economics, politics and culture, in order to provide effective and efficient assistance, MAFF recognized that it is absolutely essential to have the most current information on the agricultural conditions and the major challenges facing the individual countries and the regions within them. Therefore MAFF has been supporting the collection and analysis of information related to the overall agricultural sectors in various sub-Saharan African countries. Tanzania was chosen as a focus of this year’s research because, due to its stable political situation and industrial development, especially mining, the economy has been growing relatively smoothly. Against this optimistic background, it is useful to have a deep understanding of how the agricultural sector is developing within the growing economy, as well as what obstacles hinder agricultural development. It is also useful to explore whether this stability and economic growth is drawing investment to agriculture or encouraging new inclusive business models that can benefit the rural population. Within the overall agricultural sector we have looked more deeply at several key issues: the Nile perch export industry in Lake Victoria which employs thousands and yet faces significant environmental and economic challenges, as well as the banana industry in the northern highlands and its role in food security and income generation. Finally we also looked at inclusive business models in agribusiness (known in Japan as “BOP” or base-of-the-pyramid businesses) which are developing both domestically, through foreign investment in agribusiness as well as through support by donors’ development assistance schemes such as the UK’s Challenge Funds. Please click on the PDF file to read the full report in English.